This is why you’ve been drinking all these years, Lenexa. Limitless Brewing (9765 Widmer, Lenexa, Kansas) is planning its grand opening Wednesday at 4 p.m. as long as the brewery receives its final permitting today. Limitless will open with a trio of brews on tap: Biere de Garde (strong pale ale), English session ale and a hazy pale ale. It’s a big week for Cinder Block Brewery (110 E. 18th Ave., North Kansas City, Missouri). Yesterday, they released Cinder Noel (9.5% ABV), a Belgian strong ale with plenty of malt and a pop of Wonka-esque burnt sugar. And this Friday, Black Squirrel is back on tap and in 22-ounce bottles. 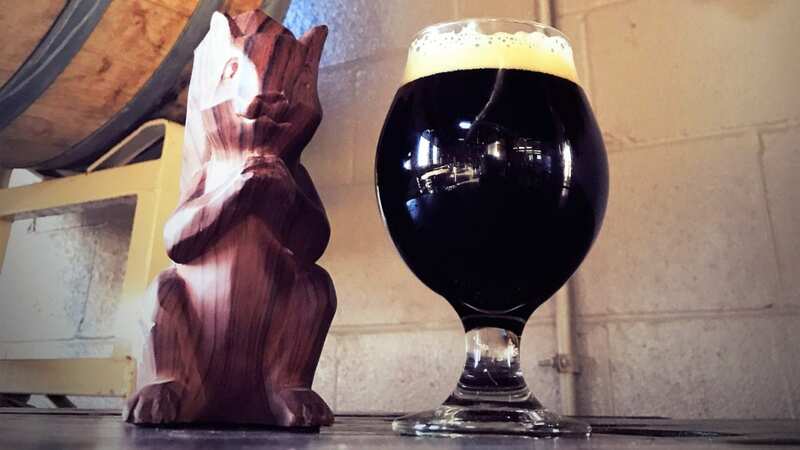 The bourbon barrel-aged Russian imperial stout comes complete with a dynamite origin story (hint: it involves a black squirrel with a drinking problem). Origin Story | Cinder Block Brewery’s Black Squirrel Black Squirrel launches this week. Check out #TapList, our new weekly beer calendar, for details. Got an origin story you think we should illustrate? Drop us a line on Twitter. Oh, coconuts. Martin City Brewing Co. has a limited release of Dozer (9.5% ABV), its coconut imperial porter,out in six-packs and on taps this week. Expect malty, toasty notes and plenty of coconut in this full-bodied porter. Fringe Beerworks (224 SE Douglas St., Lee’s Summit, Missouri) just dropped Order No. 11 (5.2% ABV), an American honey porter brewed with clover honey, which “gives this beer a nice herbal aroma.” The brew was made for the Lee’s Summit Historical Society. 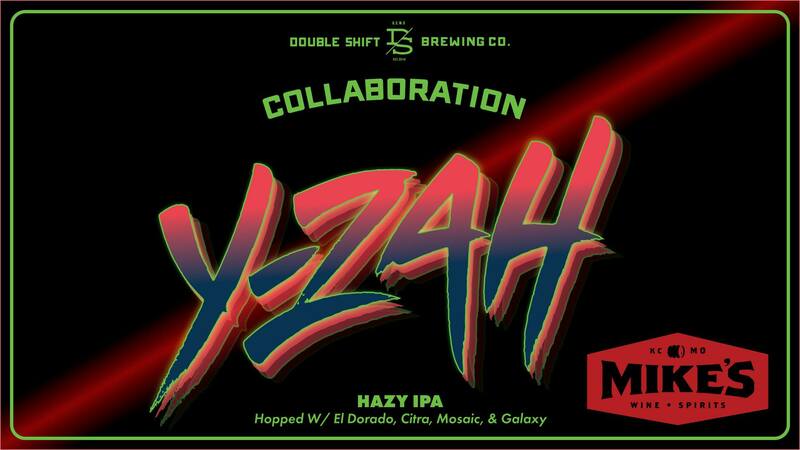 Beers from the Maplewood Brewery, based out of Chicago, Illinois, will appear in Kansas City this week. Look for their pale ale and Chicago Pilsner. Brew Lab (7925 Marty St., Overland Park, Kansas) keeps making new beers. Keep an eye out for Act 4, a grisette (a Belgian farmhouse ale) aged in Restless Spirit’s gin barrels. Double Shift will also release Just a Loon Saison (7.1% ABV), brewed with roasted chicory, mace and squash. “It’s a very end-of-the-harvest beer to welcome winter,” Stewart said. How about a cup of a beer that reminds you of tea? Good Bloke Pub Ale is an English mild from East Forty Brewing (1201 W. Main St., Blue Springs, Missouri), that blends malt and hops. A contender for best beer name of the year? 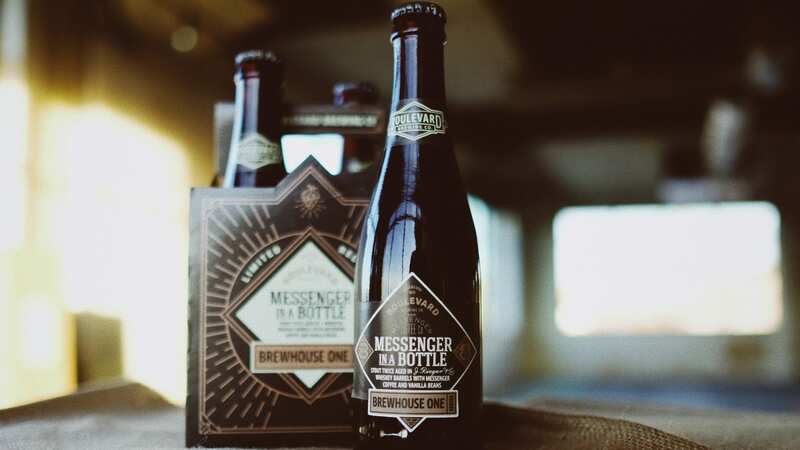 Boulevard Brewing Co. is releasing Messenger in a Bottle (14.9% ABV), an imperial stout that’s been aged in J. Rieger & Co. whiskey barrels before spending some time soaking in the essence of vanilla beans and Guatemalan coffee roasted by Messenger Coffee. It’s being released at 11 a.m. in 12-ounce bottles in the Boulevard gift shop and will be on tap at the Tours & Rec Center (2534 Madison Ave.). If you need a beer to pair with Thanksgiving (or simply make awkward family conversations go smoother), Big Rip Brewing Co. (216 E. 9th Ave., North Kansas City, Missouri) will have a limited release of its Scotchlander Wee Heavy in 22-ounce bottles. Find out what would happen if beer and mead had a baby with a new collaboration from Brew Lab and Black Labs Craft Meadery. The duo are releasing a black raspberry braggot, a mead made with malt. Border Brewing Co. (406 E. 18th St.) will have 50 percent-off growler fills in case you need a bit of liquid courage for the holiday. BKS Artisan Ales (633 E. 63rd St., Suite #120) will have Holstein Chocolate Cake Milk Stout (made with Oddly Correct Guatemalan coffee), Pine Tree (a New England-style IPA) and Denim Vest (a collaboration IPA with Aaron Justus of Ballast Point) in 16-ounce cans. The Waldo nanobrewery is open from 4 to 8 p.m.
Pace yourself, Lee’s Summit. New Axiom Brewing Co. (949 NE Columbus St., Lee’s Summit, Missouri) is doing a limited, ticketed release of its Texcaliopoca in four-packs. Each four-pack includes three cans of the chocolate stout with ancho and arbol chiles, cinnamon and vanilla bean. The standard stout clocks in at 14.4% ABV with the barrel-aged option at 16.1% ABV. iTap Crossroads (403 E. 18th St.) is opening at 11 a.m. and welcoming winter with some big old beers. They’ll have Goose Island Bourbon County Stout (‘17 and ‘18), as well as Bramble Rye on tap. Bring in canned goods to donate to Harvesters and be entered into a raffle . Fringe Beerworks (224 SE Douglas St., Lee’s Summit, Missouri) will also have Goose Island BCS alongside donuts starting at 10 a.m. The inky, barrel-aged brew will give you a whole new definition for Black Friday. 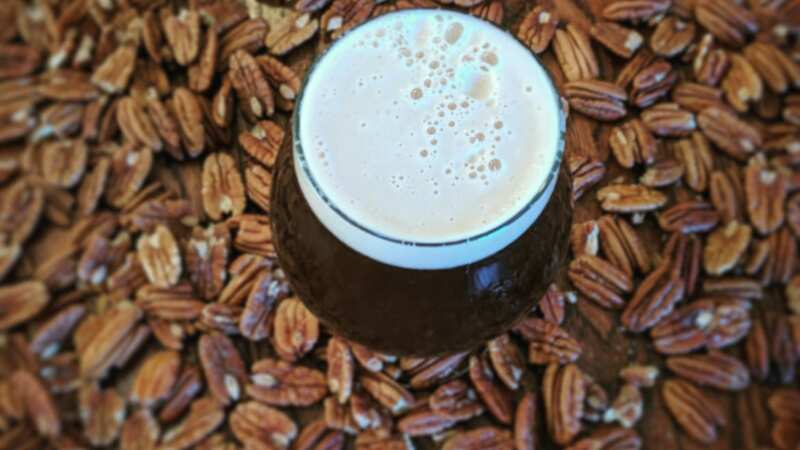 Border Brewing Co. will have its raspberry chocolate milk stout, chocolate milk stout, campfire porter, pecan brown ale and Lights Out IPA (it’s collaboration with neighboring Double Shift) on tap. You wouldn’t eat a bowl of cereal with beer instead of milk. But what about a beer brewed with cereal? Colony’s Raised by TV (8.5% ABV) is a milk stout made with 12 bags of Cinnamon Toast Crunch. It’s back for Black Friday. Wakarusa Brewing Co. (710 Main St., Eudora, Kansas) celebrates its first anniversary on Friday and Saturday from 11 a.m. to 11 p.m. They’ll tap a New England-style IPA, Black IPA and raspberry mead. Grab dinner from Barbwire Barbecue between 5 and 8 p.m.
East Forty Brewing will be offering up its take on Small Business Saturday with Small Batchness Saturday. Check out Good Bloke, an English mild dry-hopped with Loral hops and English Breakfast tea, and Blue Springer Weisse infused with cherries.